Willard Gatewood’s full academic career spanned more than 40 years, most of them on the University of Arkansas campus. A recipient of the university’s Distinguished Research Award and Teacher of the Year Award, he taught history of the United States and the South with an emphasis on African American history. As chancellor, Gatewood initiated two of the university’s key accomplishments in the 1980s: the restoration of Old Main and the establishment of the Sturgis Fellowships, among the university’s most prestigious undergraduate scholarships. He and professor Miller Williams are also credited with founding the widely respected University of Arkansas Press. 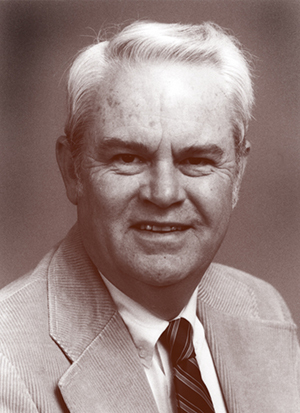 He resigned in 1985 to return to teaching history. Personal: Gatewood was born to Willard B. and Bessie Gatewood at Pelham, N.C., on Feb. 23, 1931. He married Lu Brown, and they have two children.